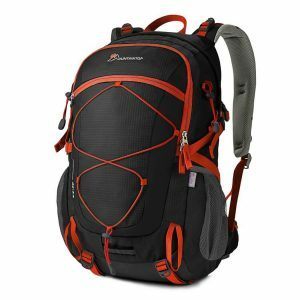 In this article, you will learn about different types of backpacks, their features and things to consider when buying a backpack. Travelling is fun. But the hassle of carrying heavy luggage around is just annoying. It’s fine if you are on a longer vacation, but for a shorter journey, dragging that baggage around is simply not worth it. Luckily, someone has already invented backpacks! They are a saviour for frequent travellers. Backpacks are handy, lightweight and can carry all the necessary things that you require while being on a trip. 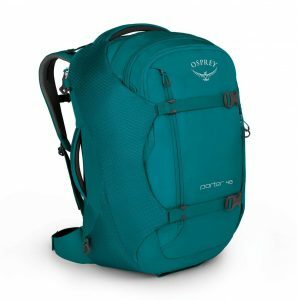 There are different types of backpacks that have various features to make your travelling hassle free, secure and comfortable even while you are carrying it on your back. Backpacks not only make your travelling easier, but they also secure your belongings. Almost all backpack contains a lockable zipper which you use to keep everything inside safe. What are the benefits of having a backpack? What type of backpack should you buy? 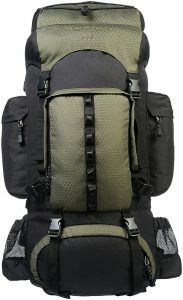 What features should a backpack have? While travelling with a luggage, you will have to check in and check out luggage. You may end up waiting for your luggage for hours in the queue. But with the backpack, you can simply check in and check out carrying it on your back. You can just keep it with you by whatever means you travel. If you pack lightly, and have everything on your back, you can travel easily wherever you want. No matter whether you travel by bus, train or plane, it’s much easier to keep a backpack with you. Making use of different compartments, you can organize your items according to the category. You don’t need to store different kinds of necessary luggage in a single compartment, unlike most trunks, duffel bags and suitcases. Moreover, as the items are in different compartments, it is easier to access the items you need–whenever, wherever. Since backpacks are small, compared to trunks and suitcases, you can fit it anywhere. Either on the top rack of a bus or below the seat. Plus, the lockable zip gives you assurance that your belongings are safe. If you are out for any event or function which would be wrapped up within 24 hours, you probably won’t need so many things with you. 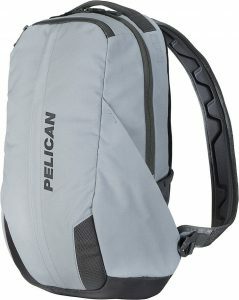 For a daypack, a backpack having a capacity of up to 30 litres should be enough. They are cheap, lightweight and can carry basic amenities–such as a pair of clothes, water, food and other simple accessories–for a day. If you are a person who just wants to run away from regular life during the weekends and short holidays, a backpack having a capacity between 30 to 60 litres would be perfect for your trips. A backpack of this capacity can easily carry stuff like extra food, a small tent, some cooking utensils and a pair of extra clothes. If you love going on weeklong trips, then a backpack having a capacity between 60 to 80 litres will surely do justice for you. You can easily carry additional clothes, a sleeping bag, a bigger tent as well as additional kitchen items. A backpack of this size would be ideal if you mostly go on weekend trips, with the occasional weeklong trip. 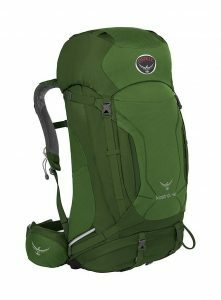 If you are an expedition lover or occasionally go on a longer trip, then you need a backpack having a volume of 80 litres or above. A backpack of this category can hold all your gear–whether it be hiking, winter-based or mountaineering equipment. They are simply over spacious bags that can accommodate and adjust to most needs. If you are a frequent traveller who just loves visiting new places, then this would perfectly suit your need. This backpack is almost similar to a suitcase but it has different compartments and can be loaded onto your back. They are super comfortable and can store a lot of stuff inside them, and make your journey easy and carefree. 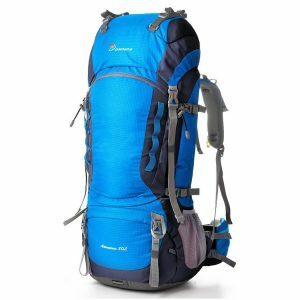 If you are heading towards hills or mountains for a quick hike or a lengthy trek, then you definitely need this type of backpack. It can store a tent, a sleeping bag, additional pair of clothes along with required food items. 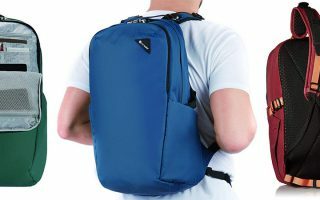 If you frequently travel because of your work, and you always will need your laptop and some files with you, then this type of backpack is the best for you. It contains a laptop sleeve, files cabinet and space for an extra pair of formal clothes. 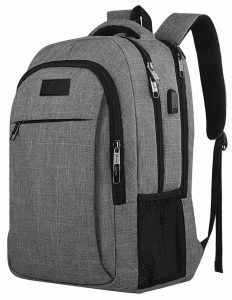 These backpacks are generally called as laptop backpacks. If you often travel with important and confidential documents, and safety from pickpockets is your primary concern, then the anti-theft backpack is the perfect solution for you. 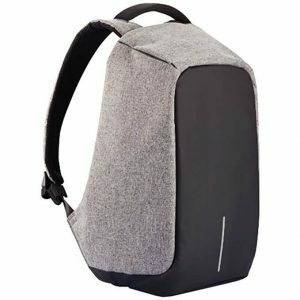 This type of backpack is made of blade-proof materials, has secret pockets to keep your belongings secure and even have a hidden zipper closure. 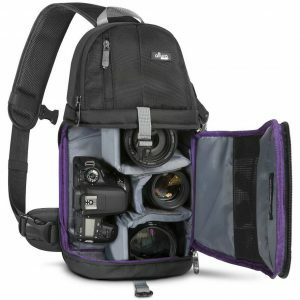 If you are a photo-enthusiast or related to the photography field, then your necessity is covered by a camera backpack. This backpack has a separate compartment for your camera, lenses and mounts or straps, which will surely make your photography trips easy and comfortable. Wide and padded shoulder straps in a backpack will avoid straining your shoulders. The width of the strap is directly proportional to the load on your shoulder. If the strap is thin, it can cause blood clotting and even cut your skin. A backpack with multiple compartments helps to keep things organized, makes it easy to pack things. Along with that it also spreads the weight of the bag around. A good backpack always has a hip belt. A hip belt helps to transfer the majority of the backpack’s weight off your shoulders and back, and towards your hip. If you are a tech-savvy and carry your laptop wherever you go, picking a backpack with a laptop sleeve is very important. It helps keep your laptop safe while on a trip. The presence of hooks and clips allows you to attach anything to your backpack. This feature is really helpful if you love hiking, as you wouldn’t always want to open the backpack to get something out from inside while walking. The top lid is an upper pocket in the backpacks which provides easy access to the main compartment. The top lip helps to pack in additional things in the backpack. Plus, the top lid in most of the backpack are detachable. So, you can keep or remove it as per your luggage. Compression straps are adjustable straps that help in decreasing the movement of the things packed inside your backpack. It is very helpful if you love hiking or climbing. The safety of your belongings is always a primary concern while travelling. A lockable zipper in the backpack will let you sleep easy, as it would prevent the theft of your belongings. Having a water bottle with you while travelling would help you save money on buying water as well as help keep you hydrated. However, the fear of the water bottle leaking in the compartments is always a worry. A separate water bottle compartment on the outside will surely help in keeping the liquid away from your other belongings while keeping it within your easy reach. Durability matters. And what material the backpack is primarily made of can determine how long it will last. Plus, if the material is not of a good quality, chances are that the backpack may tear mid-journey–the last thing anyone wishes for. So, always make sure that the backpack you are going to buy is made of nylon or canvas and is not easily destroyable. We humans have no any control over nature. Whether it be summer, winter or spring, you never know when the clouds above you will burst into drizzle or rain. So, having a rain cover or a waterproof pouch will always save your backpack from getting wet. The backpack is attached to our back. Hence, it restricts airflow and results in you having a sweaty back. You may not be comfortable with the feeling of sweat on your back. If that’s the case, always prefer a backpack with a ventilation chimney. The size of the backpack always matters as it affects both packing capacity and comfort while carrying it on your back. A backpack that is longer than the length of your torso will be uncomfortable to carry. A perfect backpack should match the length of your torso and should reach up-to your hips. I never like to pull out everything to get one thing out of the backpack. While buying a backpack, always look for one that has a lot of pockets and straps so that you can easily store and take out your belongings. Multiple pockets and compartments will help you stay organized while travelling. A backpack should be light. The main purpose of a backpack is to carry your belongings. If it is heavy, it would add extra load on your shoulders, which would then make travelling more difficult. Always prefer a lightweight backpack. If you are tech-savvy, look out for a backpack with USB charging port, headphone hole and an embedded GPS system inside it. 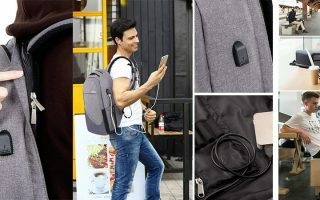 The mentioned features of a backpack make them a smart backpack and help with charging your phone, listening to music without getting out your phone. Such backpacks even track the location of the bag! This is especially helpful if you and your bag get separated. Backpacks can easily get damaged if handled in a wrong way. So, always look for a backpack whose manufacturing quality is good and which has no loose threads visible. Having a lot of features in a backpack is great. Along with required features, always make sure that the backpack is pocket-friendly. A backpack within budget can help you spend better on your journey. Last but not least, if a backpack comes with any warranty or guarantee by the manufacturers, it is an added advantage. You never know when something can go wrong and you may end up ruining your lovely backpack. So, in such a critical situation, a warranty or guarantee will surely put your mind to rest. So, above are few things you should consider before getting a backpack for yourself. If you feel that we missed out on mentioning something, feel free to comment down below. We will surely evaluate and add it to our list. BackpackingBlueprint.com is a participant in the Amazon Services LLC Associates Program, an affiliate advertising program designed to provide a means for website owners to earn advertising fees by advertising and linking to amazon(.com, .co.uk, .ca etc) and any other website that may be affiliated with Amazon Service LLC Associates Program. 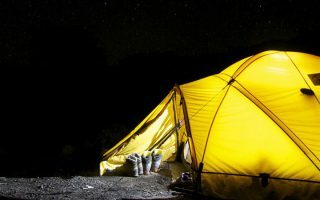 So I created this website to help make an informed decision when buying backpacking and travel gears. We buy and test backpacking gears and write reviews about them. Our mission simply put is to provide helpful reviews and tips related to backpacking and travel. 2019 Copyright Backpacking Blueprint. Blossom Feminine by Blossom Themes. Powered by WordPress .